Fairfax is an independent city in Northern Virginia and the county seat of Fairfax County, the most populous county in Virginia with over one million people. Despite the high population, the city of Fairfax is an excellent place for families. With good schools, low crime rate, strong support for education, and a high rate of home ownership of single-family homes, this city is an easy choice for families looking for an ideal community to raise their children. It is not surprising therefore that in 2009, Forbes magazine recognized Fairfax’s many good points as a city and community. Forbes magazine ranked Fairfax No. 3 in the “Top 25 Places to Live Well.” Forbes commended the city for its high median salary and strong public school system. The rate of sole proprietors per capita is equally impressive that ranks in the top 1% nationwide. Fairfax has a pretty famous neighbor – just across the Potomac River is Washington, D.C., the country’s seat of government. All the monuments, museums and history in Washington are a mere Metro Ride away. Fairfax County provides the best possible public transportation services and facilities. The transportation system links residence and business establishments with cultural attractions and commercial places throughout the Washington, D.C. metropolitan area and with aviation, the rest of the world! 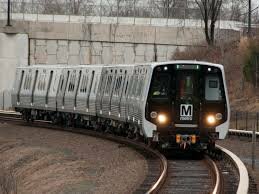 The Washington Metropolitan Area Transit Authority operates an interconnected rail and bus service called the “Metro.” Fairfax County is served by five Metrorail stations – West Falls Church, Merrifield/Dunn Loring, Vienna/Fairfax/GMU, Huntington and Franconia/Springfield. All these stations have park-and-ride facilities. There will be an additional station along the new Silver line to Washington Dulles International Airport once the construction is completed. Furthermore, the Metrobus system in Fairfax is big in the county with 325 routes and 11,490 bus stops in the Washington, D.C. region connecting residential neighborhoods with business, commercial and cultural hubs, as well as linking to Metrorail stations. The Virginia Rail Express services two commuter lines with 5 stations in Fairfax. Similar to the Metro, VRE stations has park-and-ride facilities. Another transportation system is the Fairfax Connector, a commuter bus service with 54 routes that support the Metro system. The public schools are administered by the Fairfax County Public Schools but owned by the city under agreement with Fairfax County. It is often reported that Fairfax County Schools are among the best in the country. With easy access to Washington, D.C and Virginia Wine Country, you will never run out of things to enjoy in Fairfax. Coupled with the beauty of Northern Virginia and you have hit a jackpot place to explore and even live in. From historic sites and museums to breweries and wineries, you can enjoy it all. Complement these with outdoor recreation, shopping, dining and entertainment and you have the perfect living package! Fairfax Corner is a shopping center that is a melting pot of street style shopping at national retail chains and local boutiques. 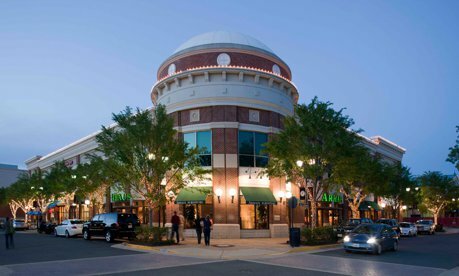 The center holds regular events complementing its grand state-of-the-art movie theater and the best restaurants in Fairfax. Commercial businesses also have rooms in Fairfax Corner with office spaces for rent, as well as residential living. The Country Club of Fairfax, a private, exclusively for members club provides family-oriented recreational and social services, events and top facilities. There are golf courses, tennis court, swimming pools and a clubhouse for fitness use and social events. 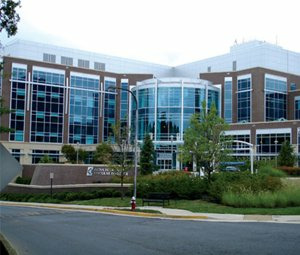 Inova Fairfax Hospital is ranked among the top health care providers in the country. It has also been top ranked in Washington DC, Metro area and in the state of Virginia. Truly one of the best hospitals, not just in Virginia but in the United States.